It’s pretty obvious that San Francisco is a haven for tourists that travel from near and far. 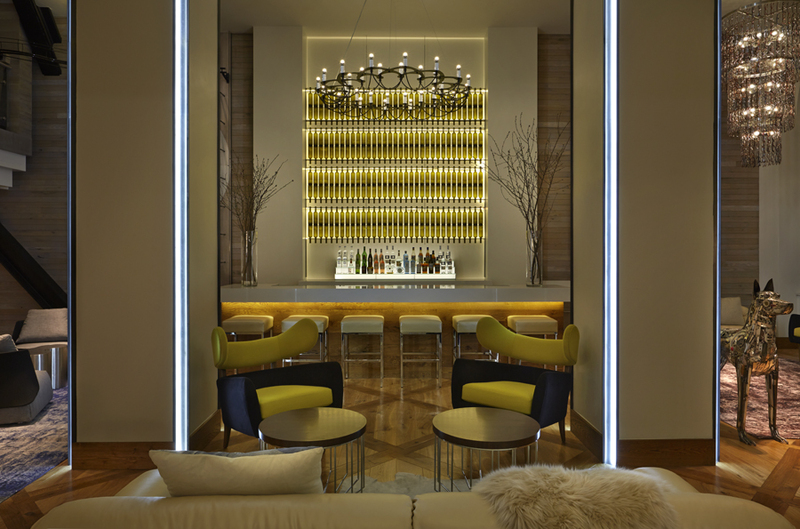 And the city is in no shortage of chic hotels that can offer plenty of design inspiration. 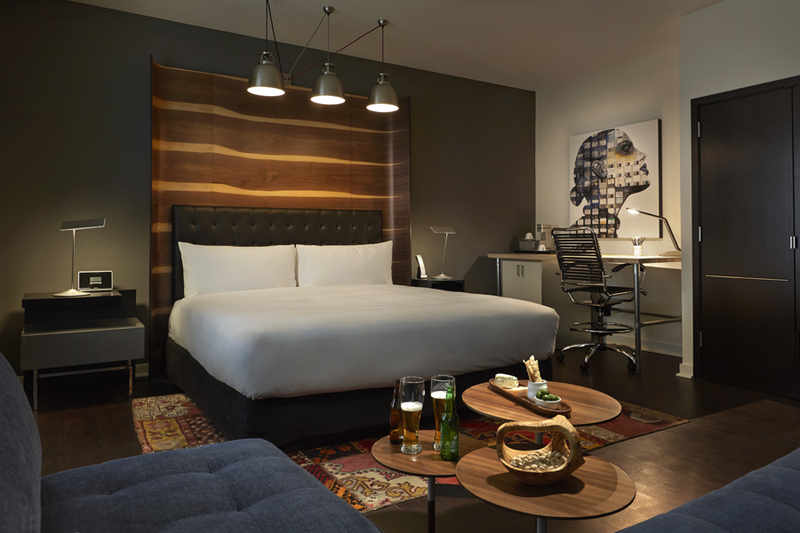 Hotel Zetta is a new kid on the block located at the epicenter of San Francisco’s SoMa District, mid-Market area, and popular shopping hub, Union Square. …..and your sight will be taken on a journey that is unexpected and fun. 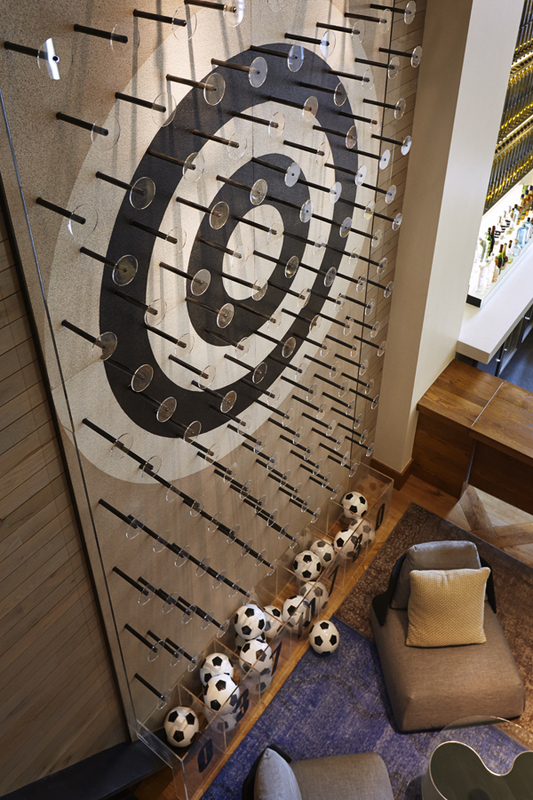 Check out the giant Plinko wall. 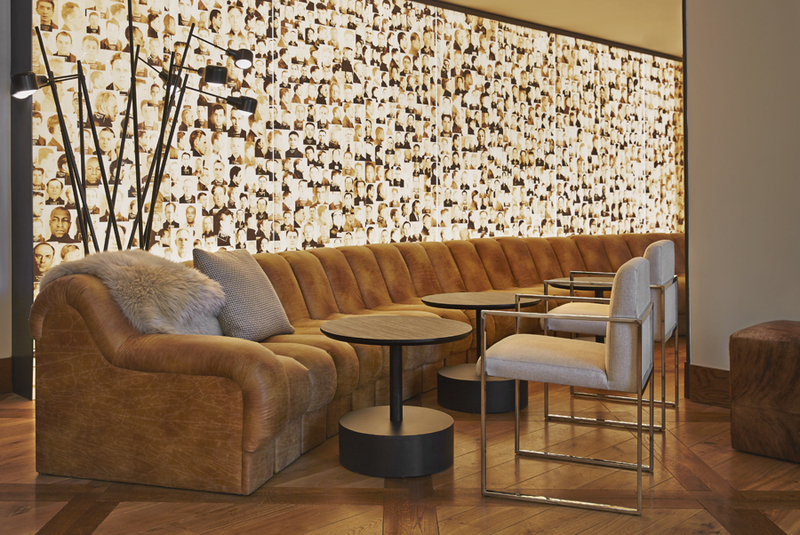 Opened in February, 2013, the 116-room hotel was designed by award-winning Seattle firm Dawson Design Associates and incorporates eclectic and sustainable architecture, technological and recycled elements, and modern furnishings with a twist. 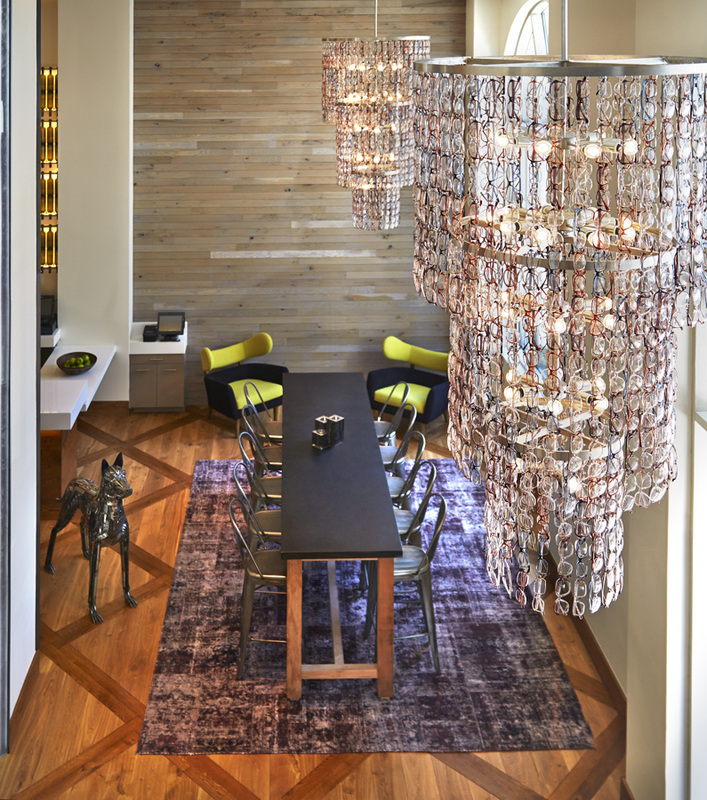 Remember my fascination with chandeliers, especially the ones made from unconventional materials? You’ll find them made from eyeglasses here. …so you can spend time looking for Al Capone or George “Machine Gun” Kelly. The hotel is now managed by the Viceroy Hotel Group and occupies the same 100-year old building where Hotel Milano once sat. In case you’re wondering about the rooms…. 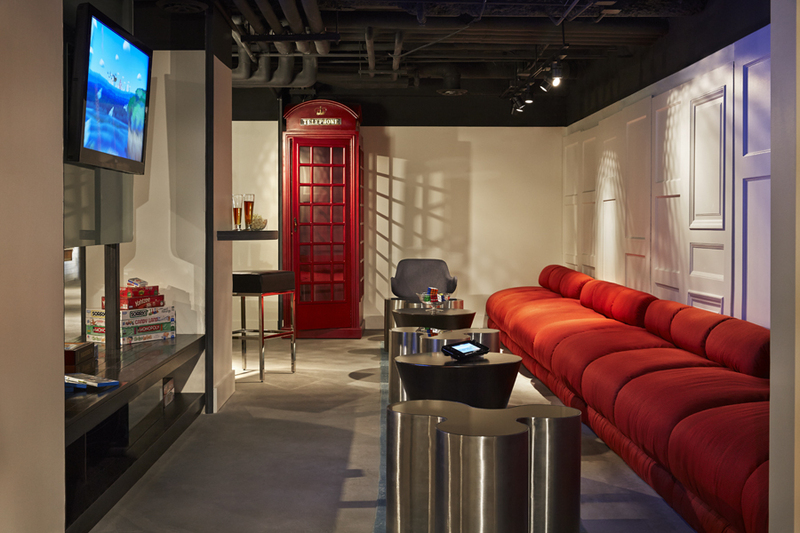 …leave your shoes at the door, put on a robe, and order room service. 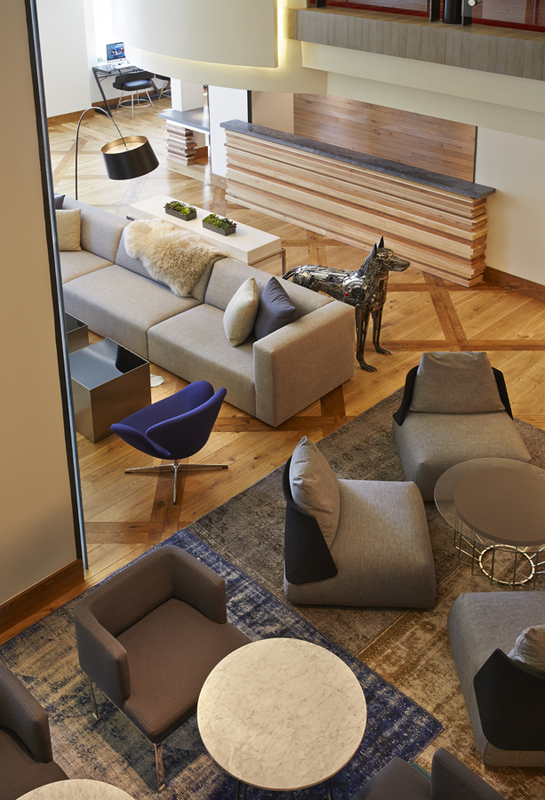 Furnishings are modern but warm and inviting, without compromising space. Neutral tones and use of natural materials give them a soothing ambiance in which relaxation and comfort are accommodated. In other words, you’ll be hanging out for a while. 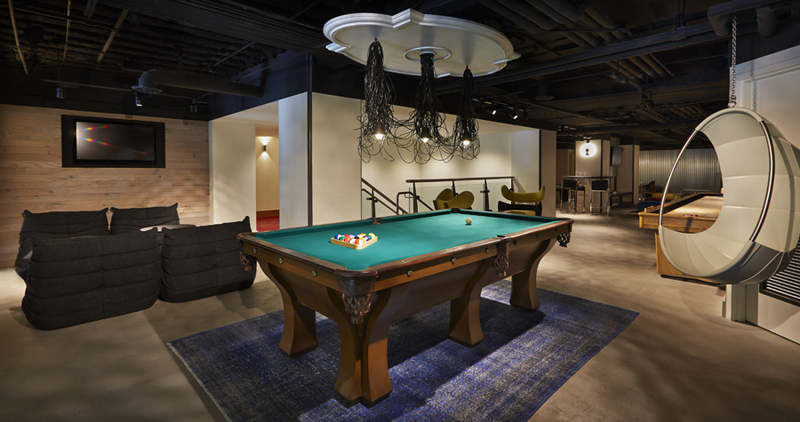 And if you’re feeling bored, the hotel boasts The Ultimate Game Lounge equipped with a pool table and the latest gaming consoles for kids and grownups to get their geek on. Current rates run around $270/night, slightly lower than the going rate for similar hotels in San Francisco. Rates may change depending on the time of your inquiry. …I can only stay a month. Note: this is not an endorsement even though it sounds like it. 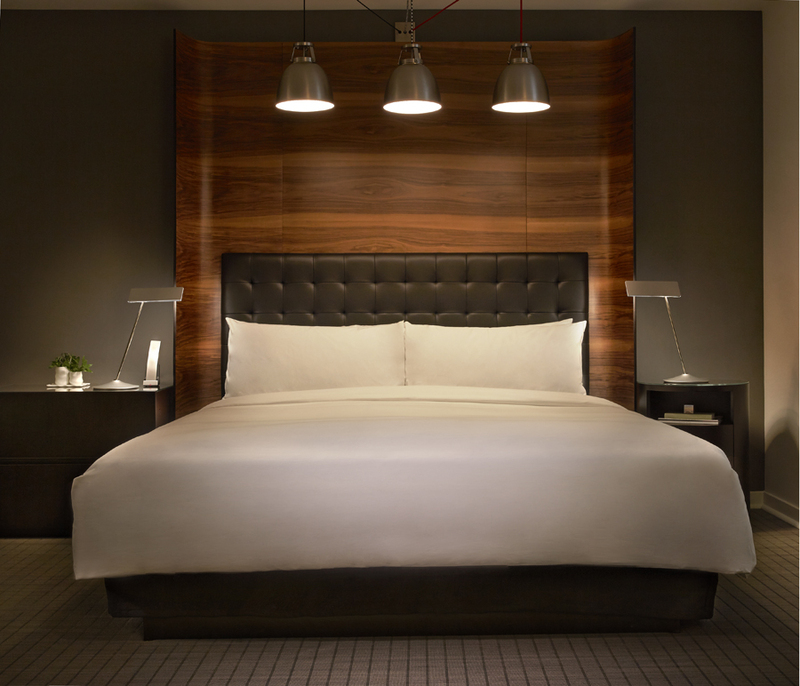 It’s an admiration for a hot hotel and a suggestion for anyone who is interested in visiting San Francisco. 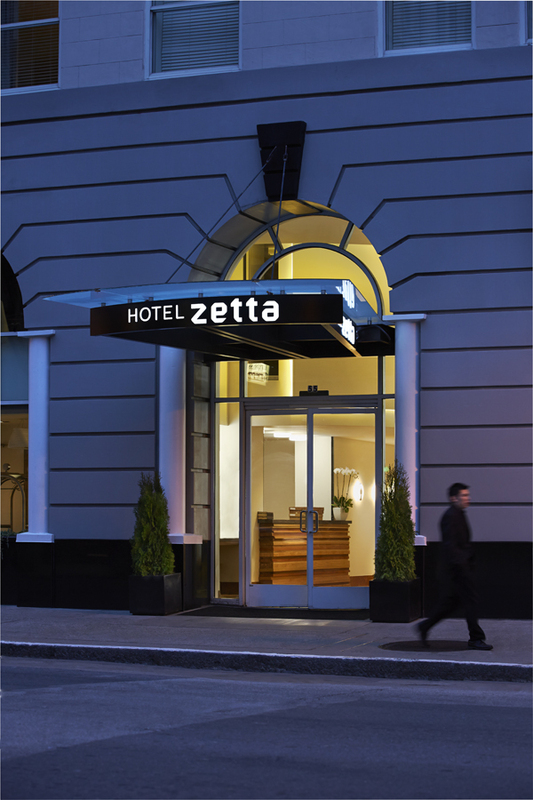 To see it yourself: Hotel Zetta is located at 55 5th St, San Francisco, CA 94103. Photos were provided by Hotel Zetta.